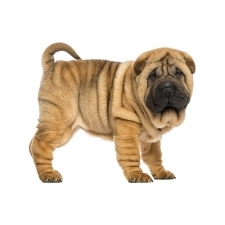 The Chinese Shar-pei originated from the Guangzhou Province in southern China. They were bred to be hunters, herders, guardians, and just an all-purpose utility dog. They were also once a guard dog and a pit fighter. Their loose skin allowed them to dodge and twist away from fatal bites. When the People’s Republic of China was formed, the dog population in China was practically wiped out. Some Shar-peis, however, were bred in Hong Kong and Taiwan, thus saving the breed. They were brought to the United States in 1973. A well-trained and well-socialized Shar-pei makes a great family dog because of its devotion to them. They like to be with their owner all the time and seem to enjoy their human companions over dog companions. Shar-peis are usually confident and calm. Because they can be independent and aloof with strangers, “arrogant” is often used to describe their attitude. Shar-peis are intelligent but can be stubborn when it comes to training. They make excellent guard dogs. 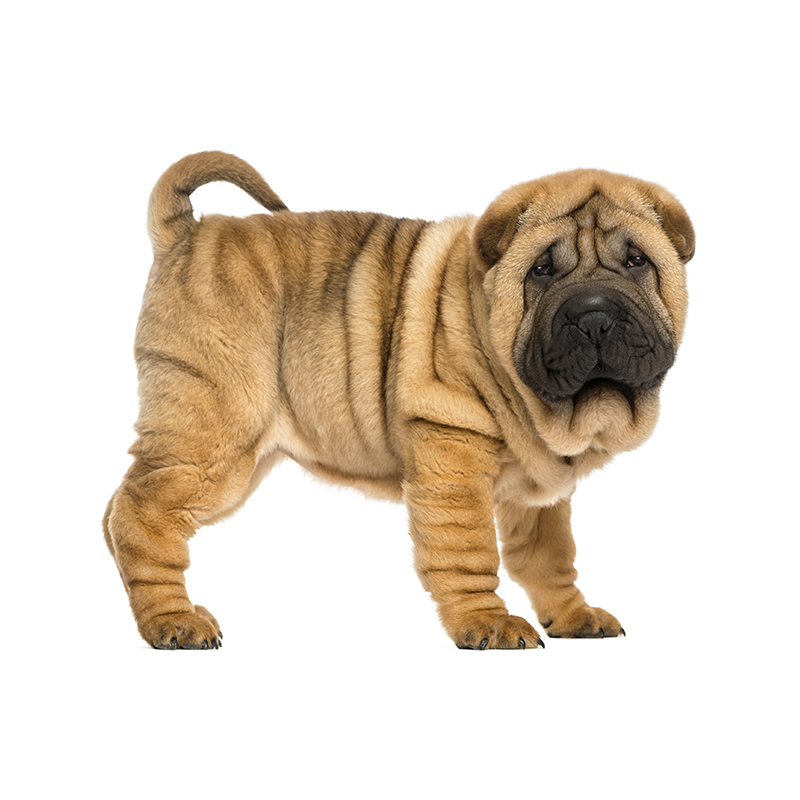 The Chinese Shar-pei is the 45th most popular dog registered with Americas Pet Registry Inc. At one time it was named “the rarest dog in the world” by the Guinness Book of World Records. The name “sha pi” means “sand skin,” which refers to the texture of their coat not the color.